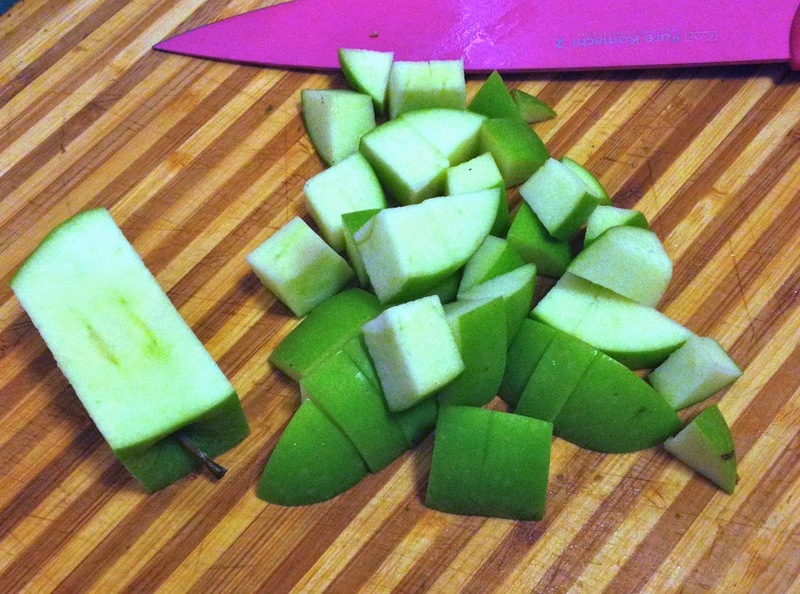 Sometimes I want something sweet and easy for breakfast! I love baked goods but you all know I am a terrible baker...breakfast eggs are my speciality! 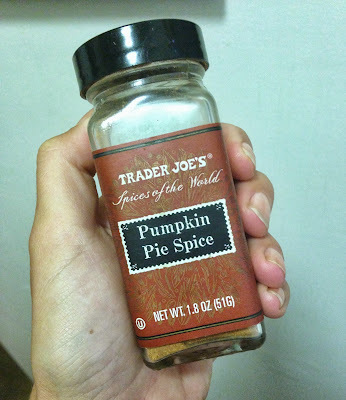 But, I love the pumpkin pie spice from Trader Joes. It is a blend of cinnamon, ginger, lemon peel, nutmeg, cloves and cardamom. I use it in all sorts of things... baking, in my bulletproof coffee AND in my morning breakfast scramble! 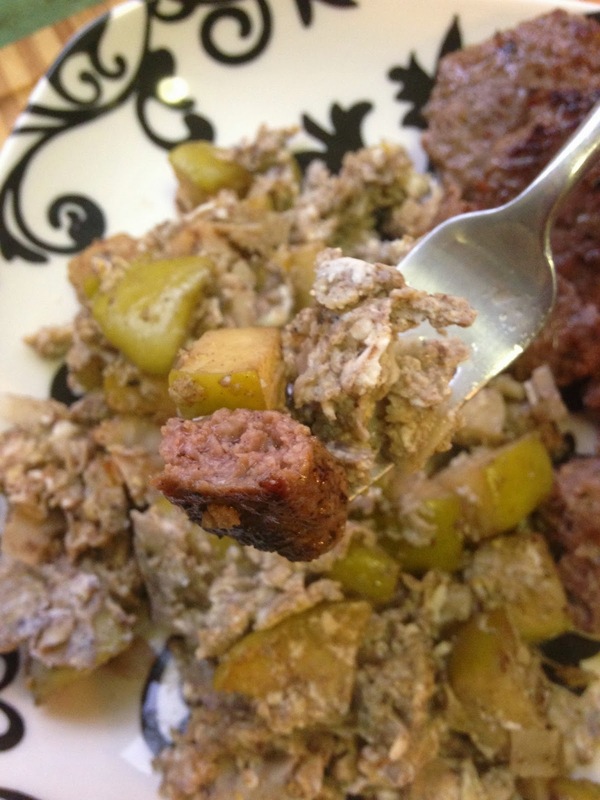 Never thought of making a sweet breakfast scramble?!? 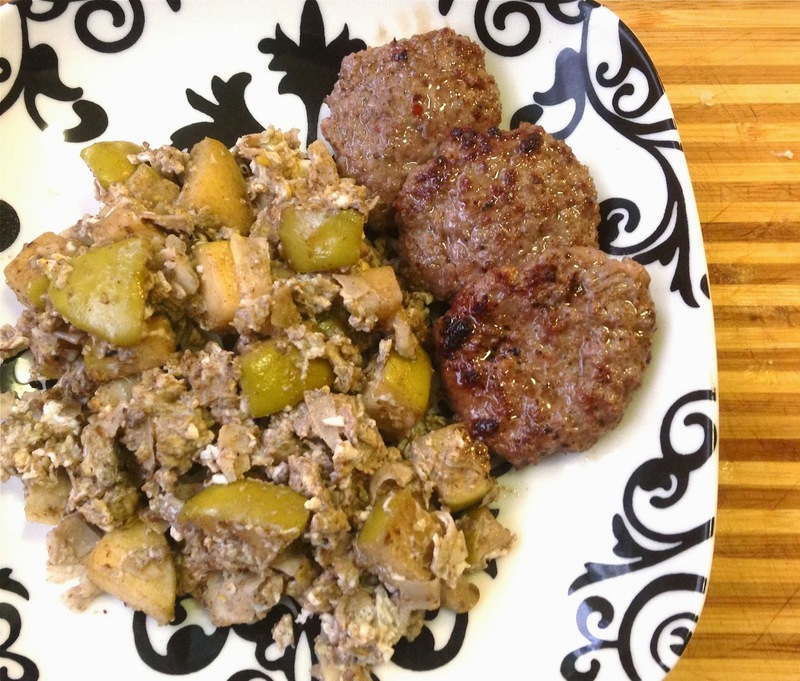 Well I didn't either until I was recipe experimenting for something different and realized that just a couple simple ingredients made an EASY, sweet breakfast scramble that fed my nutritional needs in the morning and also kicked my sweet tooth! If I am feeling a sweet craving coming on at night, I make this on a smaller scale and it knocks it right out of the park. You can also modify this recipe by using different spices or adding raisins & nuts. 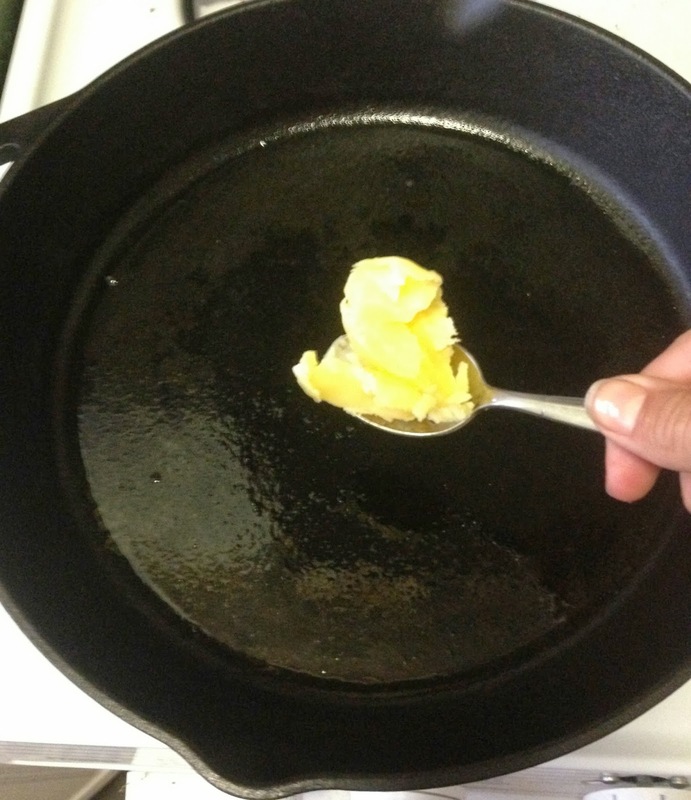 Heat a large skillet with the ghee or oil on medium/low. 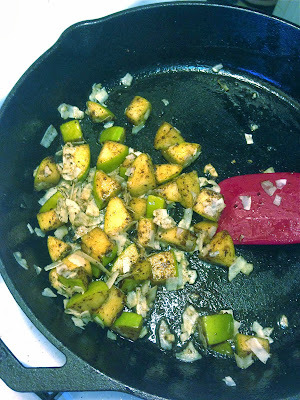 Add the apple chopped into small pieces and cook down until soft (maybe 5 minutes or less, but different types of apples will cook faster or slower...I used a granny smith which gives it a more tart flavor as well). 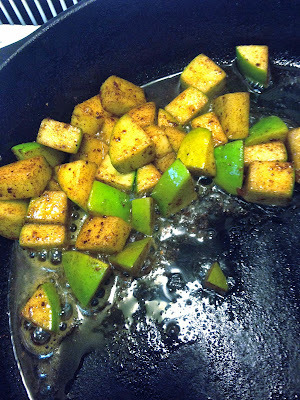 Add the pumpkin pie spice and stir to coat apples. 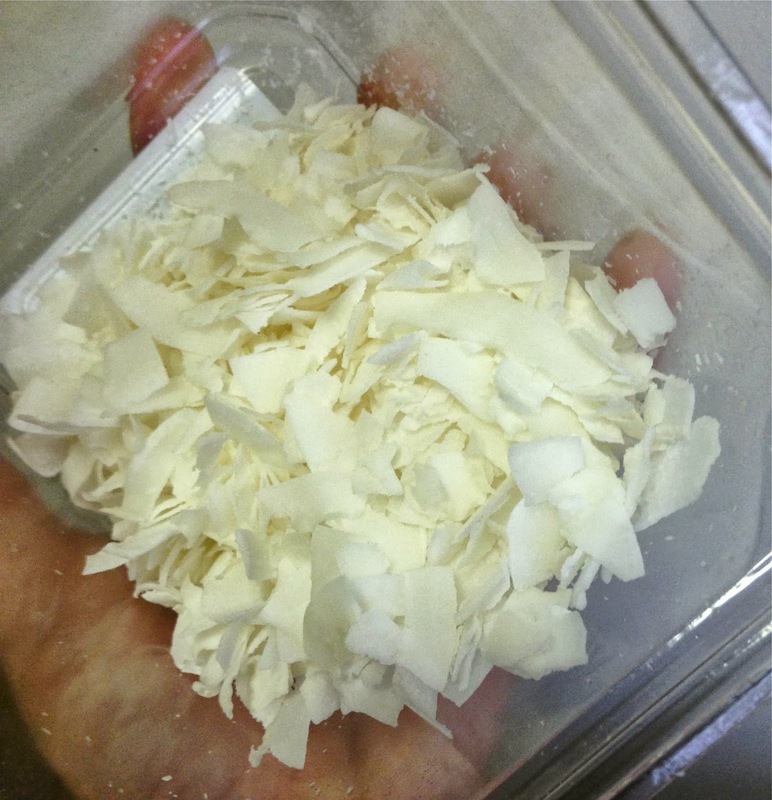 Once cooked, add the vanilla and coconut chips. The Perfect bite! Little sausage, little egg, little apple! All images are owned by flame to fork. Simple theme. Powered by Blogger.